The Falklands War ended June 14, 1982 efter the death of 655 Argentines, 255 Britons and three islanders. Only three weeks after Argentina signed a contract of intention with Brazil to buy 24 Saab Gripen fighters the future deal is cancelled by the British. Politics have won over the will to cash in. Many were surprised to see the Argentinan Defense Minister Augustín Rossi sign the contract with the Brazilian government to buy Swedish planes. 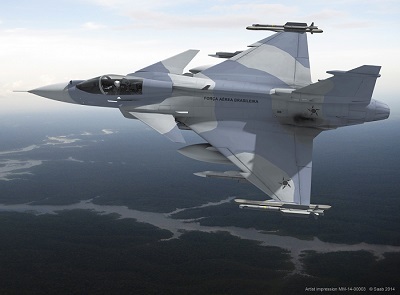 Brazil had not yet signed the contract with Saab that they want to buy 36 Saab Gripen for its own country at that point, Oct. 21. “Even if Brazil will build most of their own fighter at home they do not own the rights to sell new planes to somebody else. Alternatively, they would have to sell the majority of the planes they intend on buying for themselves, if they close the deal properly” contrasts Christina Zander, reporter at the Wall Street Journal in Stockholm to the blog. 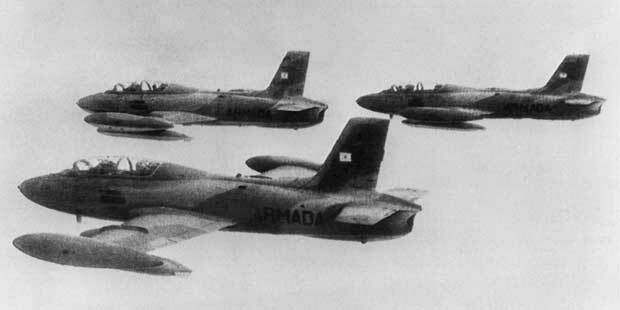 However, it was not Saab, the Swedish company that actually invented Gripen that objected to the South American dream of co-operation, it was Argentina’s long time rival Great Britain. The Saab fighter is not only Swedish but made up of technology from other countries, among which it is 30 percent British. Parts such as the radar, landing gear and electronic system are all produced in Great Britain. The sale of British military and dual-use technology for use in Argentina has been banned by the British government since 2012: “We are determined to ensure that no British-licensable exports or trade have the potential to be used by Argentina to impose an economic blockade on the Falkland Islanders or inhibit their legitimate rights to develop their own economy,” said a spokesperson for the UK Department of Business, Innovation and Skills to Defense News. Saab has no plans of pulling out of their cooperation with Great Britain, which leaves Argentina to finish their discussions with Spain to buy their old Mirage F1s. The Argentinians have managed to deepen the Falkland Islands conflict, proving to the Brits that they are set on re-equipping. Britain is now bound to rethink their strategy to defend their outpost in the South Atlantic. This entry was posted in Blog on 11th November 2014 by Cecilia Vaccari.